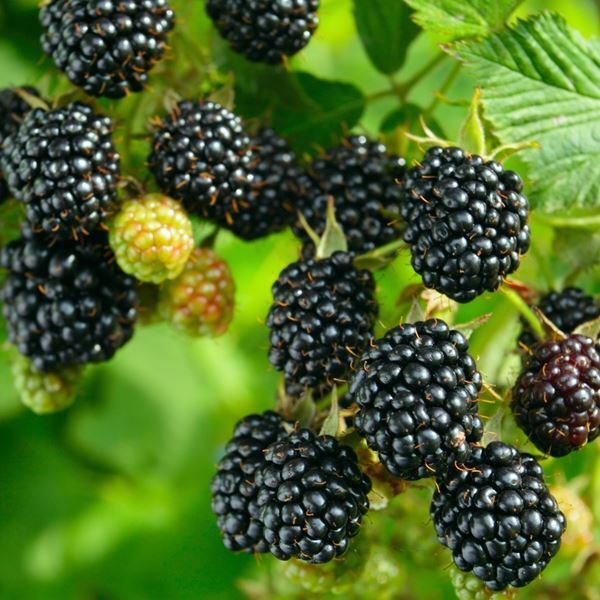 Suppliers of quality soft fruit plants to both retail and wholesale markets. View our extensive range online now! HAPPY EASTER from James McIntyre & Sons! FREE Blueberry plant on all purchases over £30 between Good Friday and Easter Monday! something to either get you started on your fruit garden or add to what you currently have. In our opinion, nothing quite beats the taste of freshly picked home grown raspberries! With over 15 varieties to choose from we are confident we have something for everyone. do better than purchase Scottish grown stock! 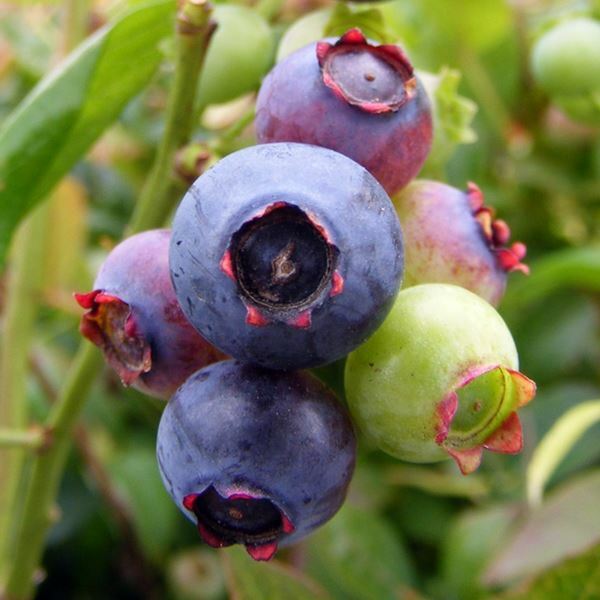 Blueberries make a wonderful addition to your fruit garden. This fantastically versatile fruit is easy to grow and a real must-have! Perfect for container growing making it suitable for all types of garden/balcony/terrace. Our recently redesigned webstore provides a quick and efficient way of ordering. We invite all our customers; current, new and returning to sign up now. Based in Perthshire, Eastern Scotland, James McIntyre & Sons have been specialising in the production of soft fruit plants for over 60 years. 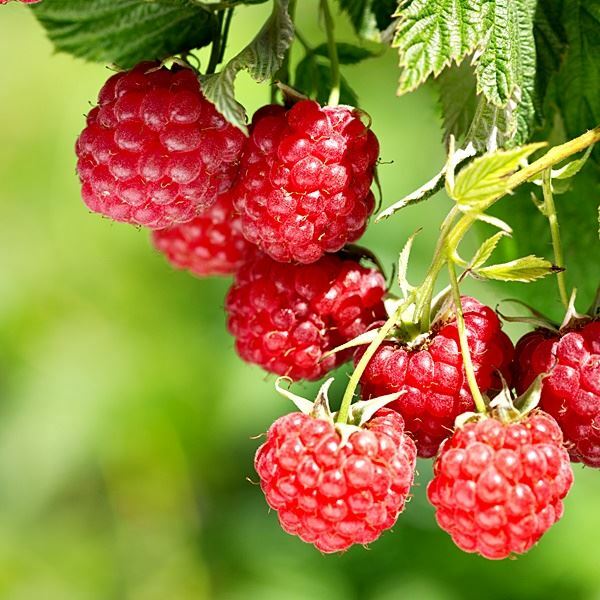 We now produce over a million raspberry canes every year from 60 acres of ground located within the beautiful town Strathmore Valley, as well as growing other soft fruit plants on our nursery. 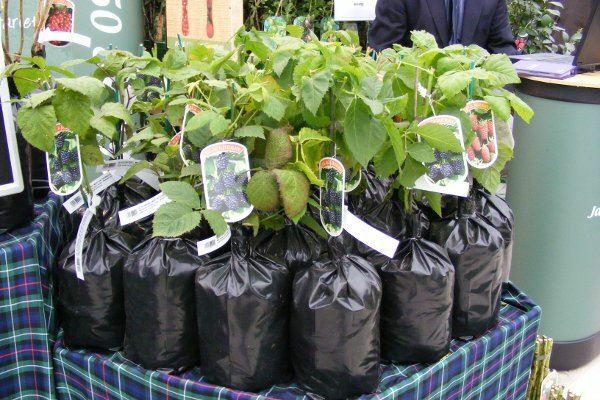 The soil and general ground conditions in the Strathmore Valley as well as the East Perthshire climate, combine to create the perfect growing conditions for fruit. All our plants are grown to the highest possible standards and are ministry inspected at regular intervals during the growing season ensuring that our customers can rest assured they are buying only top quality stock. We supply soft fruit and hedging plants bare-root, pre-packed and containerised to the retail and commercial horticultural markets. Our range comprises of well established, proven varieties as well as some of the best recent introductions. All our stock is delivered on pallets. We have proved that our plants arrive in much better condition this way as opposed to Danish trolleys. The flexibility of delivering on pallets also allows us to provide a 24hr* service from door to door, ensuring that the stock is in transit for as short a time as possible. *excludes Highland Scotland & Northern Ireland which is a 48hr service. During the key sales periods, we circulate a weekly availability list. Please get in touch if you would like us to add your company to our mailing list. 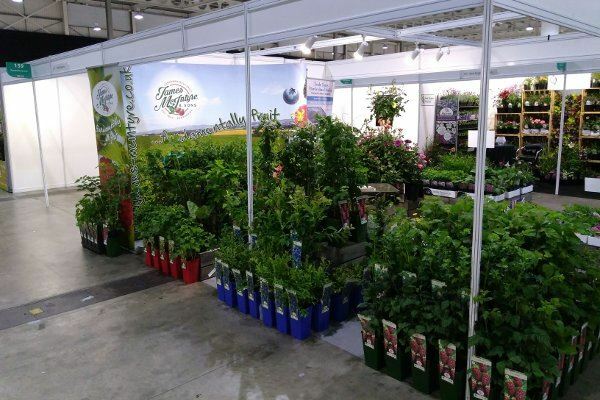 We supply the plants in this range for 12 months of the year. At certain times of the year, there are items that are not available, but we always have a good range in stock at any given time. The Strathmore Range was introduced in 2016 following feedback from some of our customers who prefer black pots to green, and additionally for those who have windy and exposed sites. 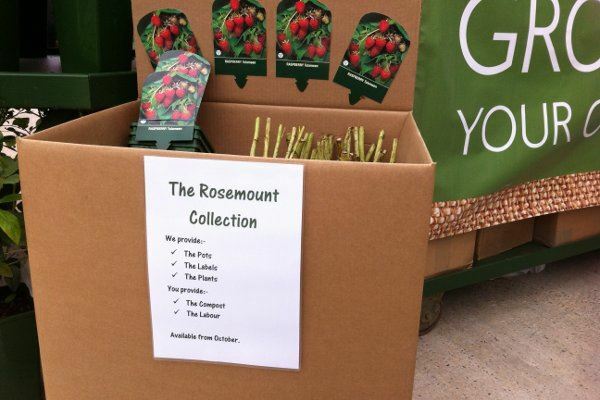 We introduced the Rosemount Collection a few years ago to fill a gap we felt had opened up in the market, enabling our customers to produce our top selling Rigid Range for themselves. The Pre-packed Range is our core product which we brought to the market over 25 years ago and continues to stand the test of time. The best option for our customers who are dealing in large quantities e.g. Wholesalers, nurseries & larger outlet garden centres. 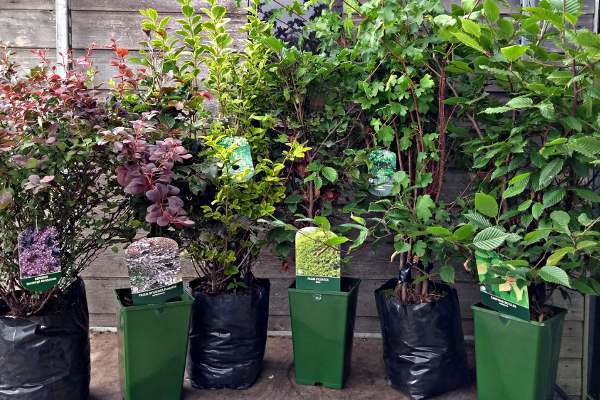 The Woodland Collection is an extensive selection of potted hedging plants. Just like the fruit, the hedging is available in potted in two ranges; Rigid Woodland Collection and Pre-pack Woodland Collection. The latest and best black raspberry! 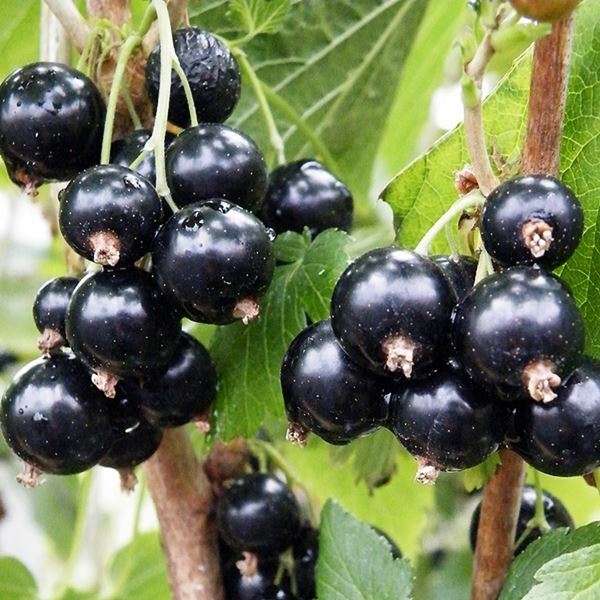 Originally from the U.S. Black Jewel is tough, hardy and ideally suited to growing View product. Autumn fruiting primocane variety, producing high yields of large bright red fruit, sweet to taste. Very stable and upright growing primocane raspberry that can be grown without support. Large, very uniform, conical fruits with a View product. 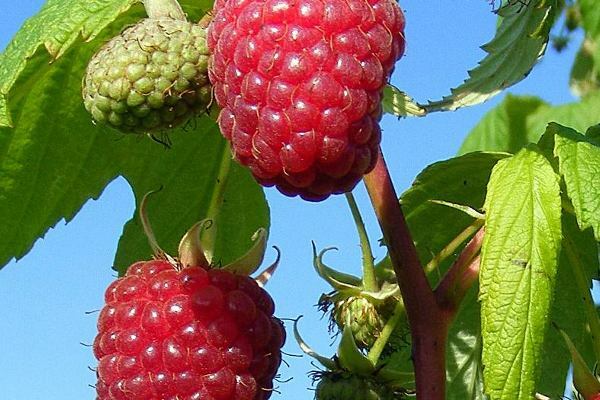 Primocane raspberry with beautiful long, conical fruits. Extremely high yielding. Mild flavour, sweet but with a refreshing acidity. Originating from 'Rhubarb Triangle' in West Yorkshire, an outstanding early cropping variety that produces high quality deep red thick stalks, View product. 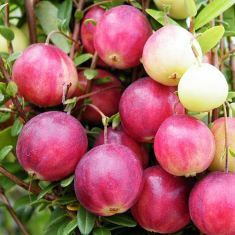 Specially selected for it's wonderful apple-fresh, sweet fruity flavour and attractive bright green to deep red stalks. Known as day-neutral, View product. An outstanding new variety! The worlds first two-cropping blueberry, producing its first crop in July, followed by a second in View product. Navaho is a productive mid-season variety with an upright growth habit. High yielding with a prolonged picking season. Rootgrow contains mycorrhizal fungi which naturally increase nutrient and water uptake by forming a highly efficient secondary root system. It is View product. Please note that these Gift Vouchers are for use on our online fruit store only. 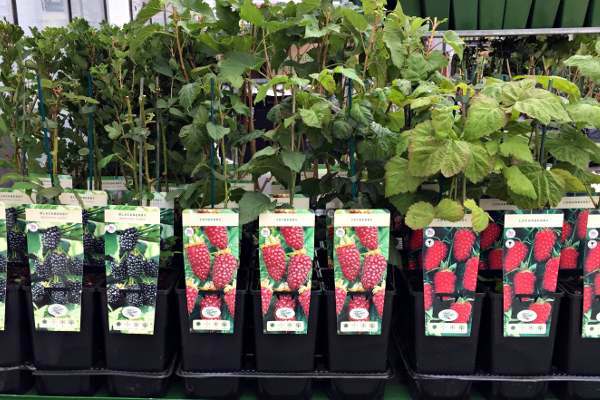 A world novelty: compact growing, thornless primocane autumn raspberry, ideal for growing in pots. This superb recent introduction is the world's first compact raspberry. Ruby Beauty is a dwarfing raspberry plant that is thornless View product. Long established, popular main-crop variety producing an abundant yield of large thick red stalks. The stalks are not tough or View product. Outstanding early/mid season variety bred in Germany. One of the most productive of all asparagus. Attractive purple bracts that contrast View product. A well established, very hardy and easy to grow white grape variety. Will do well in all areas of the View product. A reliable outdoor cropping variety bred in Holland, Boskoop Glory is easy to grow and a reliable cropper. Often mistakenly View product. Originating from Germany where it is known as Trollinger, Black Hamburgh is often recognised as the easiest of greenhouse grapes View product. Pilgrim produces one of the largest and reddest fruits of any cranberry. It has a low growing spreading habit with View product. I am very happy with the Jostaberry you sent me. It arrived as a healthy, well established plant, on time and well-packaged. It has been planted and I look forward to seeing it grow in the spring. Thank you for efficiently dealing with my order. I appreciated the additional 'Planting Care and general advice' as an email attachment. What impressed me most was the solid, secure packaging for the raspberry canes, blueberries and strawberry plants ordered. The plants are really healthy and arrived in perfect condition after more than a 450 mile journey. Heartily recommended. Just a quick note to say how impressed I am with the potted plant and the packing of my order. Thanks again.